PDF Content: English translation instruction text, pattern in charted and written form. This is one of my favorite "small" Niebling patterns. 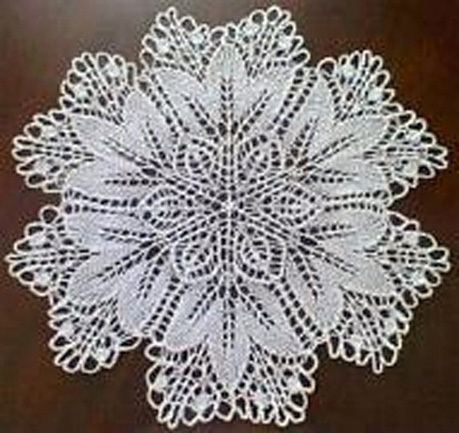 The finished doily that I purchased on eBay (several years ago) was probably made using crochet thread Size 20; and knitting needles U.S. Size 0 or 00. The square versions were published as "Kleeblatt", and are available in my e-junkie store.